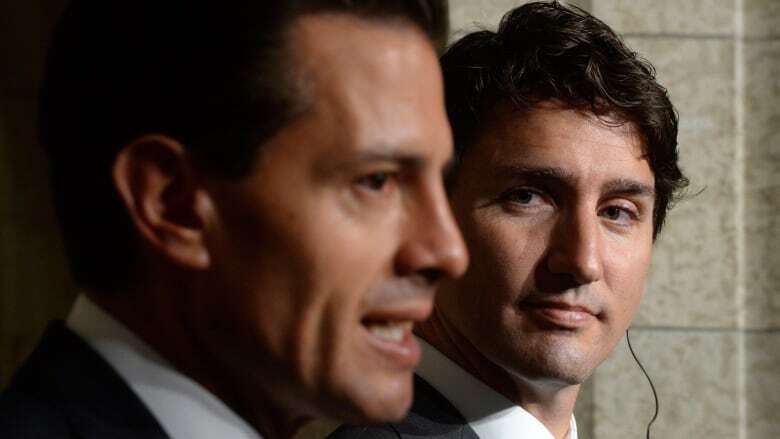 Both Canada and Mexico want to retain a dispute settlement mechanism in NAFTA. They just don't agree on which mechanism is most worth saving. Canada has signalled it's going to the wall to defend Chapter 19. Mexico City has a different priority. When it comes to trade dispute settlement mechanisms, Canada and Mexico agree that NAFTA needs one. They just don't agree on which one is most worth saving. The North American Free Trade Agreement has three chapters that lay out how to resolve disputes: 11, 19 and 20. A curious aspect of the talks to date has been that Canada and Mexico both say they want to preserve a neutral mechanism to arbitrate disputes — but each is focused on saving a different chapter. For Canada, Chapter 19 is a "red line" — one the Trudeau government has said repeatedly it will not cross. Donald Trump is at least part of the reason. "We need to keep the Chapter 19 dispute resolution because that ensures that the rules are actually followed, and we know we have a president who doesn't always follow the rules as they're laid out," Prime Minister Justin Trudeau told an Edmonton radio station last week. Chapter 19 gives NAFTA nations the ability to appeal to an expert panel when what they believe are unfair charges of dumping and subsidization lead to tariffs and countervailing duties. It's been used successfully by Canada to push back against U.S. trade actions targeting Canadian softwood lumber and, most recently, glossy paper. In fact, Canada has used Chapter 19 no fewer than 45 times — more than either of its NAFTA partners. The United States objects to Chapter 19 not only because it frequently has lost these cases before expert panels — forcing it to refund duties — but also because the adjudication panels are composed of representatives of both countries involved in the dispute. "Chapter 19 does something unique in international trade law. 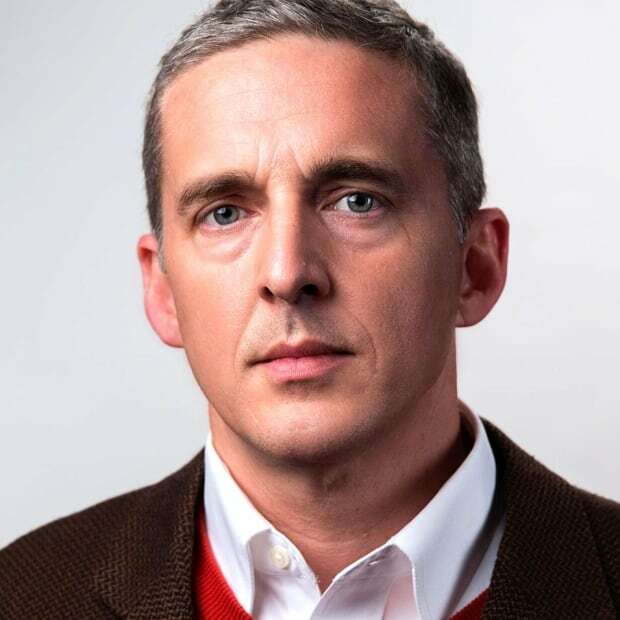 It allows these binational panels to interpret and apply domestic law," said Simon Lester of the Cato Institute, a Washington, D.C.-based think tank that advocates for free markets. "The U.S. Constitution expects U.S. federal courts to interpret and apply U.S. law. So there is an argument that I think is credible, that the Chapter 19 process infringes the U.S. Constitution." Lester said that previous challenges of the constitutionality of international panels have always been settled before they reached the U.S. Supreme Court. One day, he said, someone is likely to take a challenge of Chapter 19 all the way. "It's possible that if Chapter 19 stays in place, there could be a U.S. court challenge that gets the whole thing struck down as unconstitutional — which is another reason why the Canadians might want to reconsider their demand for it, in case they lose it through some U.S. constitutional litigation." Mexico has used Chapter 19 on 41 occasions — almost as many times as Canada. But the country still sacrificed it to obtain its new agreement-in-principle with the Trump administration. Moisés Kalach — who speaks on the negotiations for Mexico's business chamber, the Consejo Coordinador Empresarial — told the Mexican media his group's members didn't care much about Chapter 19 because those panels haven't worked particularly well for Mexico. "We win a panel, but even so, we continue with a trade problem in the background. There's still a hidden protectionism there." In fact, Canadian trade experts have noted that the U.S. Department of Commerce is getting better at getting around Chapter 19 panels. Instead, said Kalach, Mexican industry told the government of Enrique Peña ​Nieto to make its stand over Chapter 20, the state-to-state resolution mechanism. "Why do you think we fought so hard for Chapter 20? That chapter, in the end, is the glue that holds the whole contract together. If you don't have a way to uphold it and to fight out the disputes, you really have no contract." Alejandro Luna is a trade lawyer with the Mexico City firm of Santamarina + Steta. "Mexico wasn't too worried about Chapter 19," he told CBC News. "It was willing to submit to U.S. domestic courts, because at least there will be a proceeding under the rules of the General Agreement on Tariffs and Trade and WTO. "Canada cares more about Chapter 19 partly because it already had this mechanism with the U.S. before NAFTA and has come to see it as a central part of the agreement." Luna said Mexico has seen little evidence in recent years that it can achieve better outcomes through binational panels than through U.S. courts. It's a view shared by Lester. "My sense talking to people in this field is, you're not getting much more out of Chapter 19 than you would in the U.S. courts system," he said. "So it may not be worth battling over. "It only addresses one narrow part of NAFTA. Chapter 19 hasn't saved Canada from those lumber duties, and there is an alternative appeal system in the U.S. domestic system through the Court of International Trade and the Court of Appeals to the federal circuit. "Most trade practitioners that I talk to say those work pretty well." In fact, one U.S. domestic tribunal that has issued rulings this year on cases involving alleged Canadian dumping has been scrupulously fair to Canadian companies. The U.S. International Trade Commission is a panel composed exclusively of U.S. adjudicators, and yet it found unanimously in favour of Canada's Bombardier in its dispute with Boeing and the Department of Commerce in January. Last month, it ruled unanimously again in favour of Canadian producers of 'supercalendered' (glossy) paper. In both cases, crippling duties were lifted as a result. The U.S. Court of International Trade is also a venue where professional judges hand down rulings that generally are considered fair and unbiased by experts and trade lawyers. It's a far cry from the situation in the 1980s, when U.S. domestic courts were often seen by Canadian companies as a hostile environment. Only three cases have been settled under Chapter 20, as opposed to 120 under Chapter 19. But Mexico has used the clause to uphold the rights of its companies and citizens to invest and do business in the United States. In one of the biggest disputes ever to affect NAFTA, the Mexican government took the U.S. to a Chapter 20 panel to overturn a blanket ban on Mexican trucking companies running cross-border services, and on Mexican investment in U.S. trucking companies involved in international trade. Mexico won that case (mostly) in 2001. The convenience of Chapter 20, said Luna, is that it can be used for various kinds of disputes under NAFTA. Canada has only once been involved in a Chapter 20 adjudication. In 1995, the U.S. protested an increase in Canadian tariffs on dairy, poultry and eggs. A binational panel ruled in Canada's favour the following year. State-to-state litigation is expensive and can complicate relationships between nations. Governments are hesitant to go there unless major interests are at stake. But some experts say Chapter 20 has a beneficial effect, even though it isn't used that frequently: the knowledge that it exists tends to keep governments in line. Chapter 11: The investor-state dispute resolution mechanism. This allows companies to sue foreign governments if they feel they are being discriminated against. Originally intended to give U.S. and Canadian companies confidence enough to invest in Mexico, it has been used most often recently by U.S. companies to challenge Canadian environmental laws and regulations. Chapter 19: Also used by companies. Sets up panels to adjudicate cases of a company or product being slapped with anti-dumping or countervailing duties. Chapter 20: The state-to-state dispute resolution mechanism. This chapter is used by countries, rather than companies, to challenge another national government it feels is not respecting the free trade agreement. This is a catch-all clause but typically would only be used in important cases.